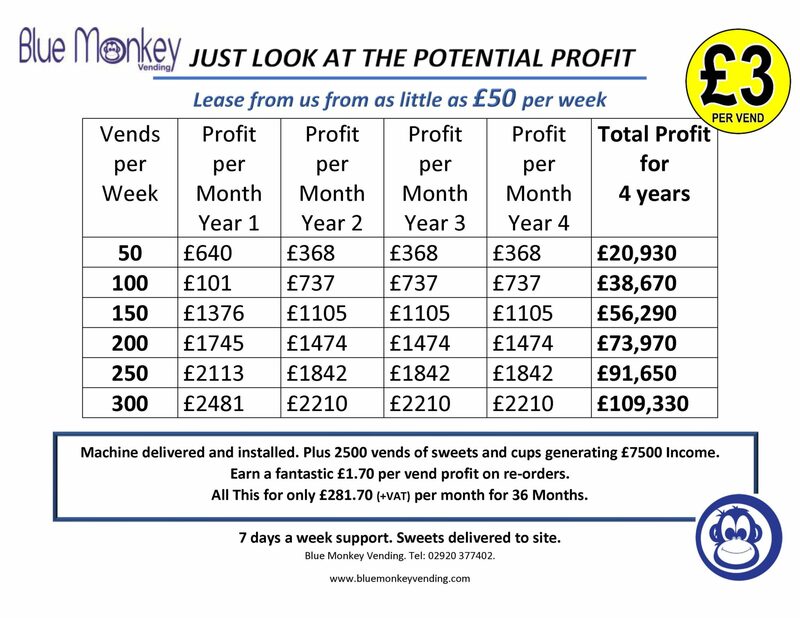 Blue Monkey Vending offer some great lease packages. These lease packages are available from as little as £50 per week, with great profit returns subject to location and footfall. Call us, or use the contact form to discuss options available to you. Please see the below as an example.